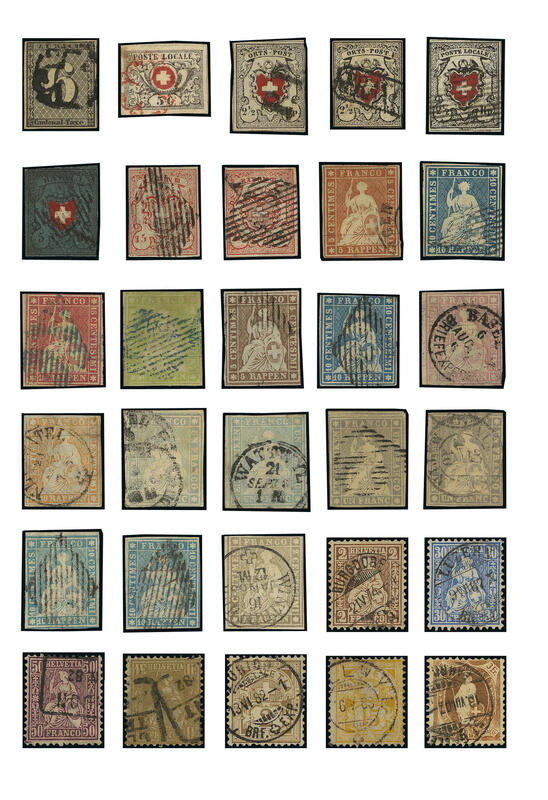 11F ⊙ Switzerland - 1843 / 2011, extensive used collection in ten safe hingeless printed form ring binder formed with plenty of better issues from the classic, mixed quality, with much perfect material. 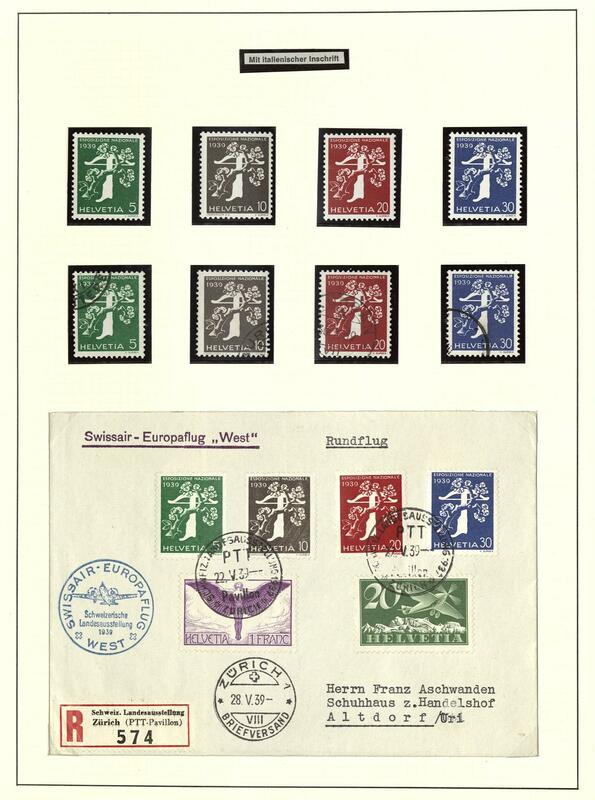 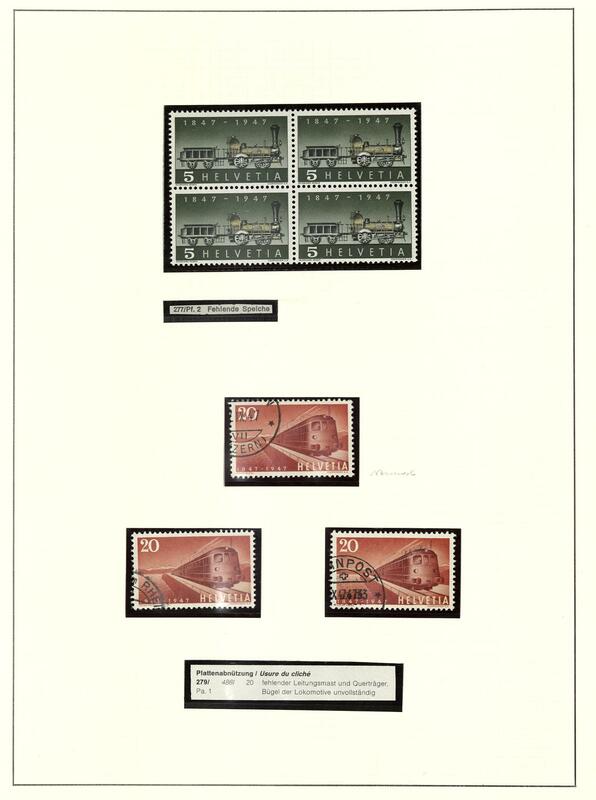 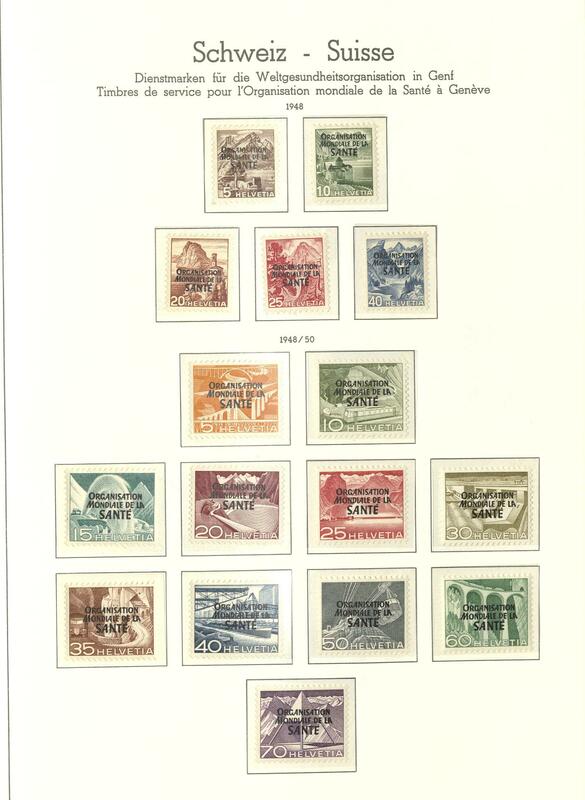 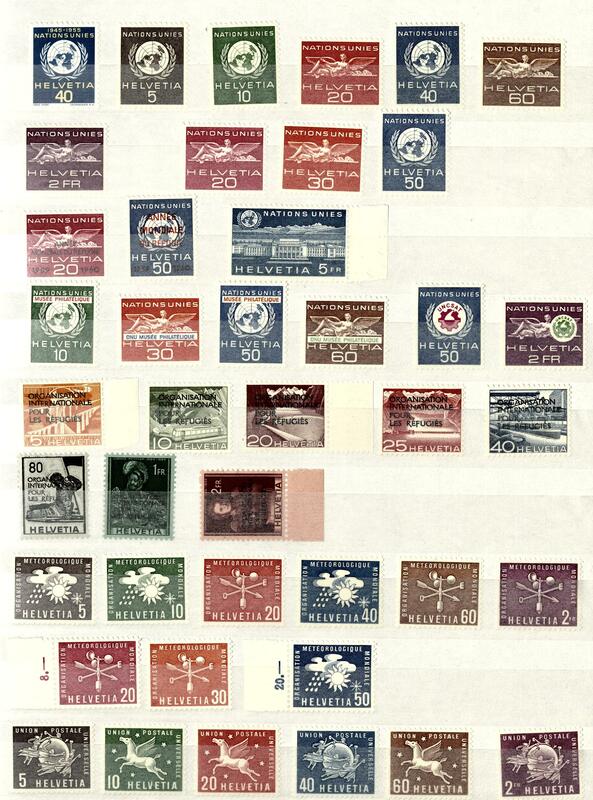 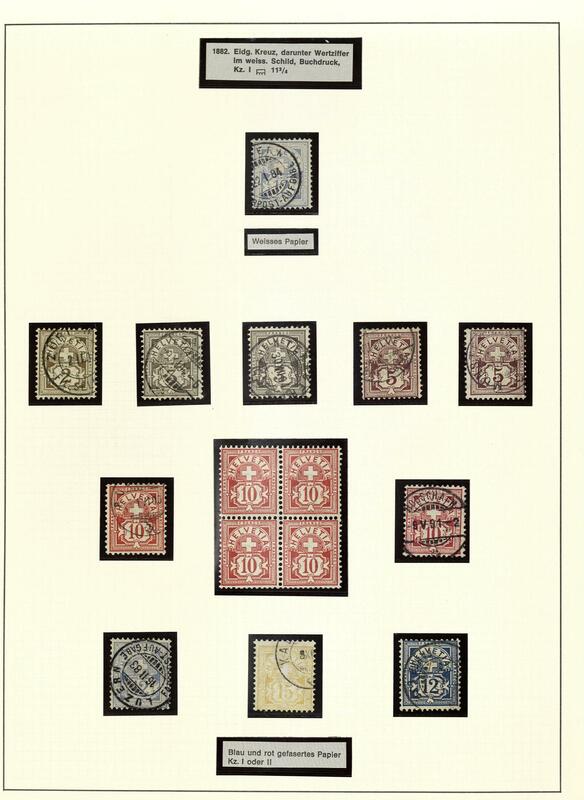 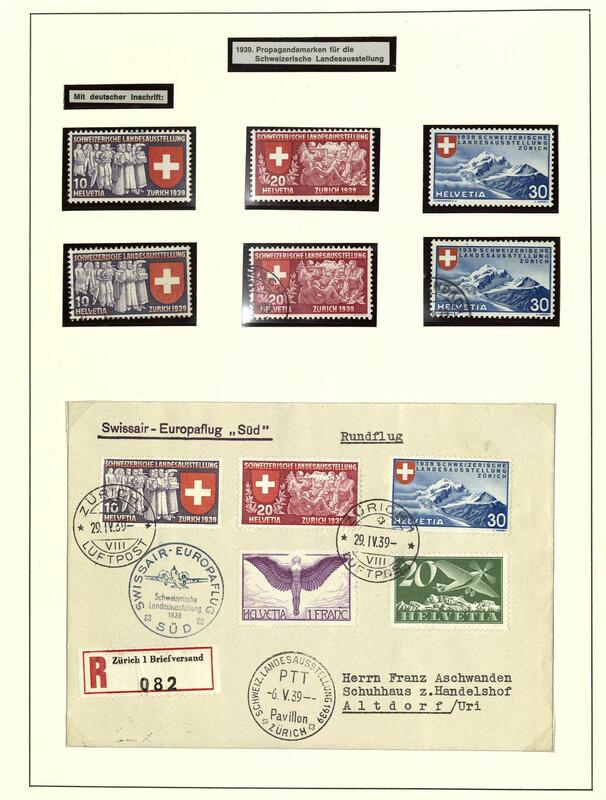 With also Zurich 6 Rp., as well further better classic values, partly with certificates, an interesting part Strubel, seated and standing Helvetia, souvenir sheet issues, as well the NABA-block used and on cover, airmail stamps, offices issues and so on. 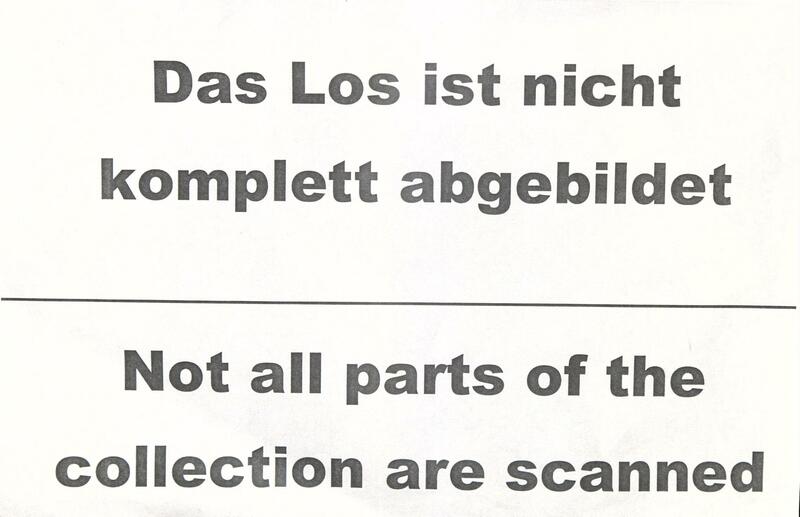 Please check carefully! 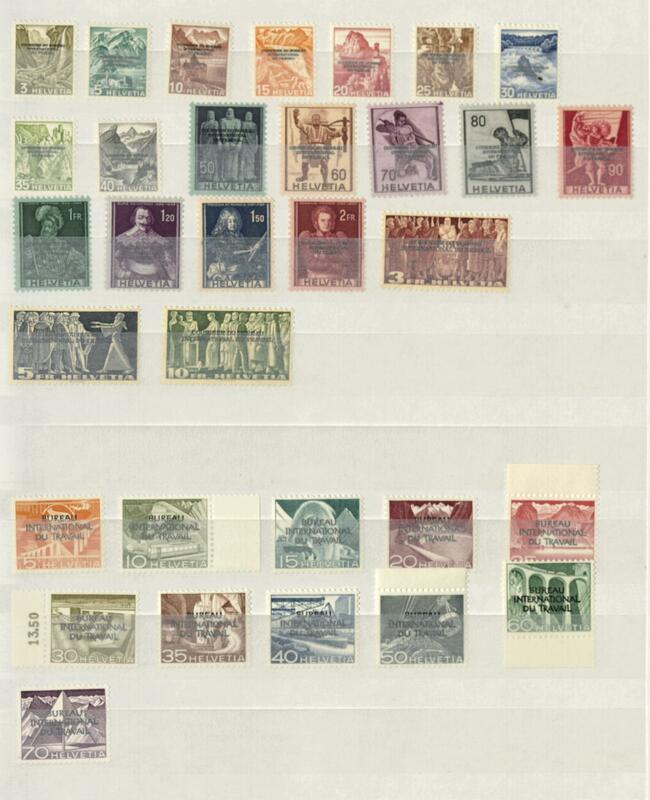 18C Switzerland / nominal - extensive inventory from post valid mint never hinged issues, to denomination value sorted in bags, very assorted. 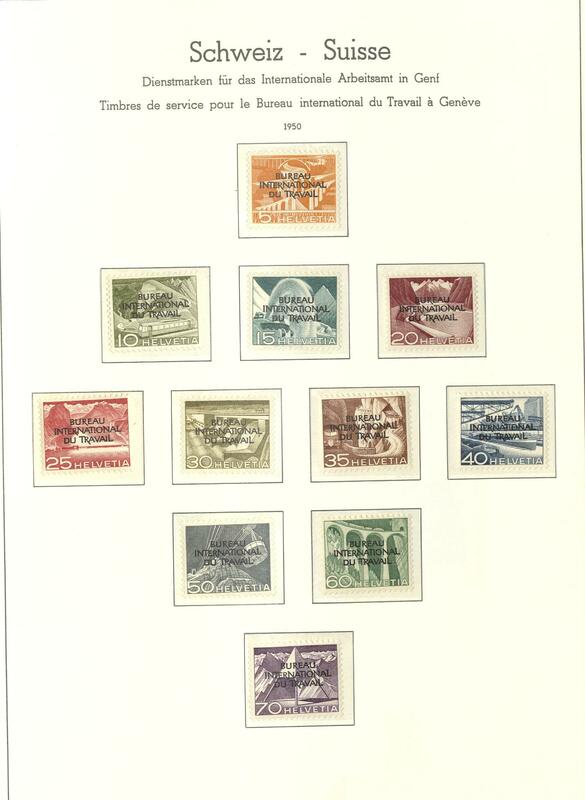 The pure face value amounts 5590,- Sfr. 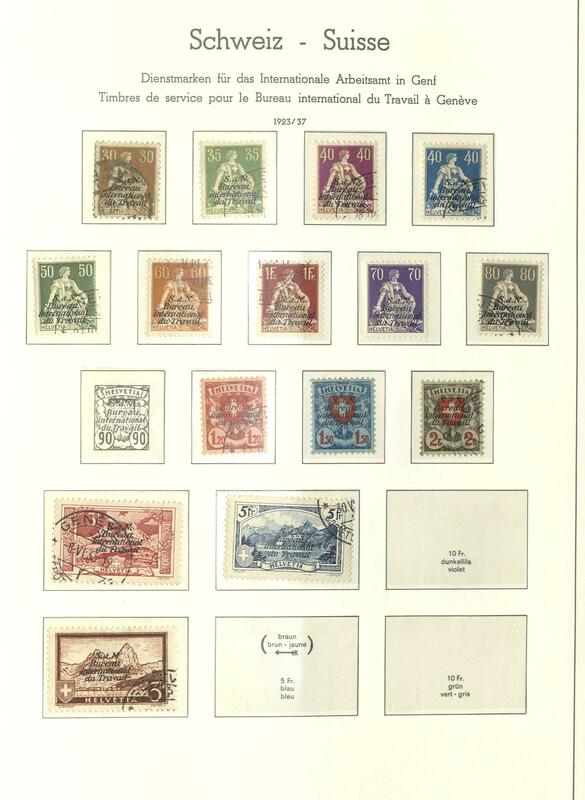 18D Switzerland / nominal - extensive inventory from post valid mint never hinged issues, very assorted packed in a carton, all in bags. 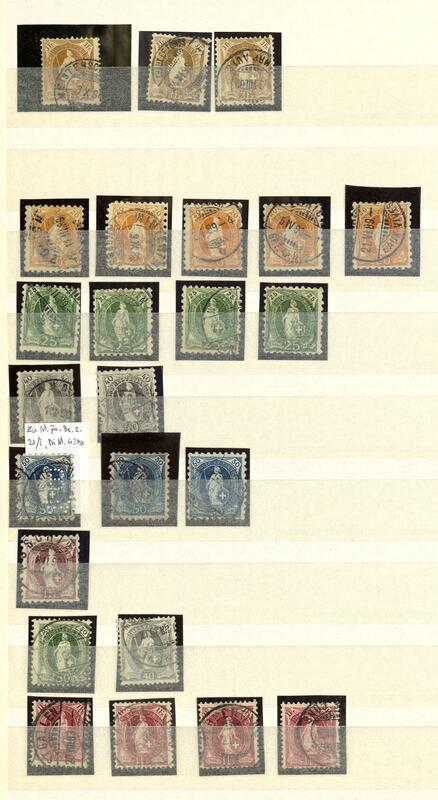 The pure face value amounts 5485,- Sfr. 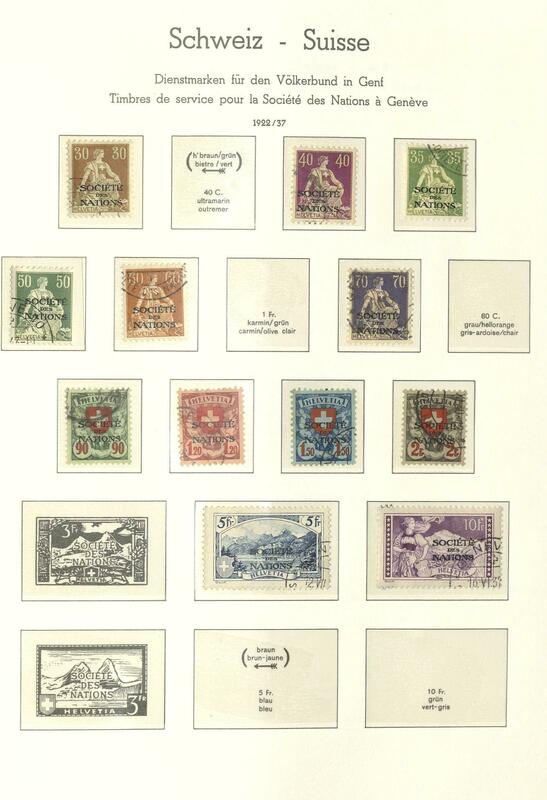 18E Switzerland / nominal - nice inventory from post valid mint never hinged issues, very assorted, all in bags accommodated. 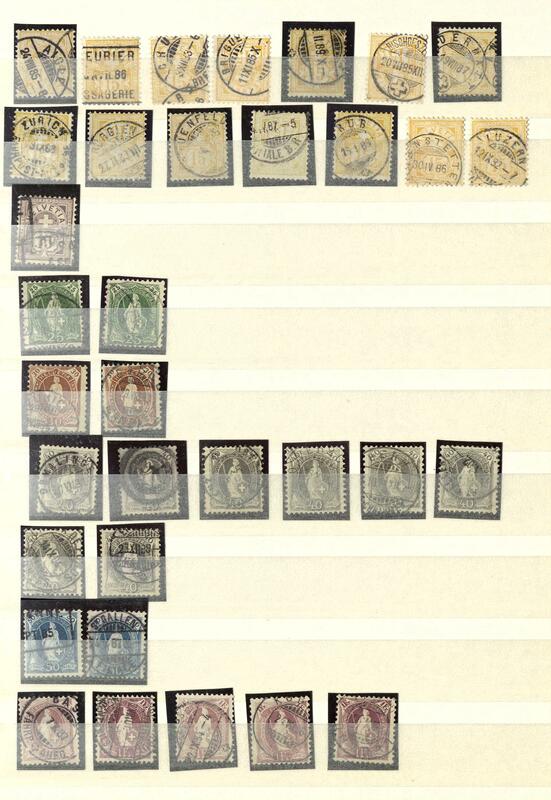 The pure face value amounts 3667,- Sfr. 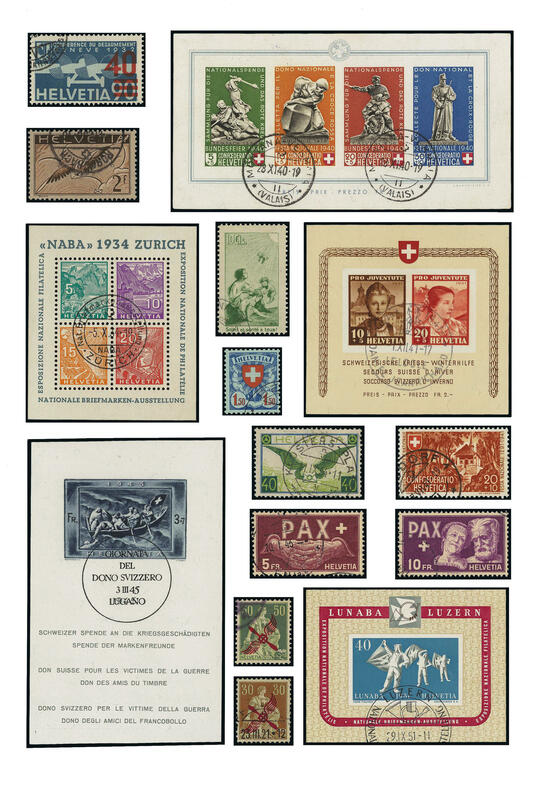 18K Switzerland / nominal - assorted lot of post valid mint never hinged issues, with also numerous stamp booklet and so on. 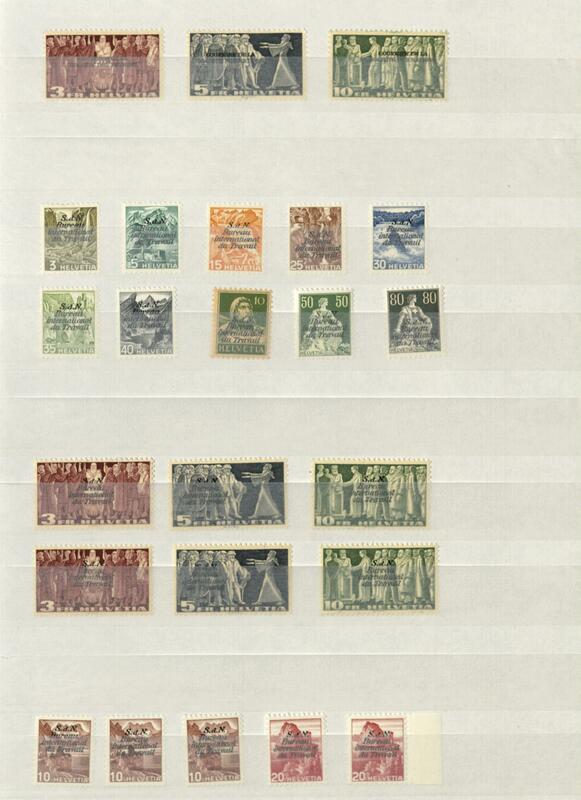 The pure face value amounts exactly 600,- Sfr. 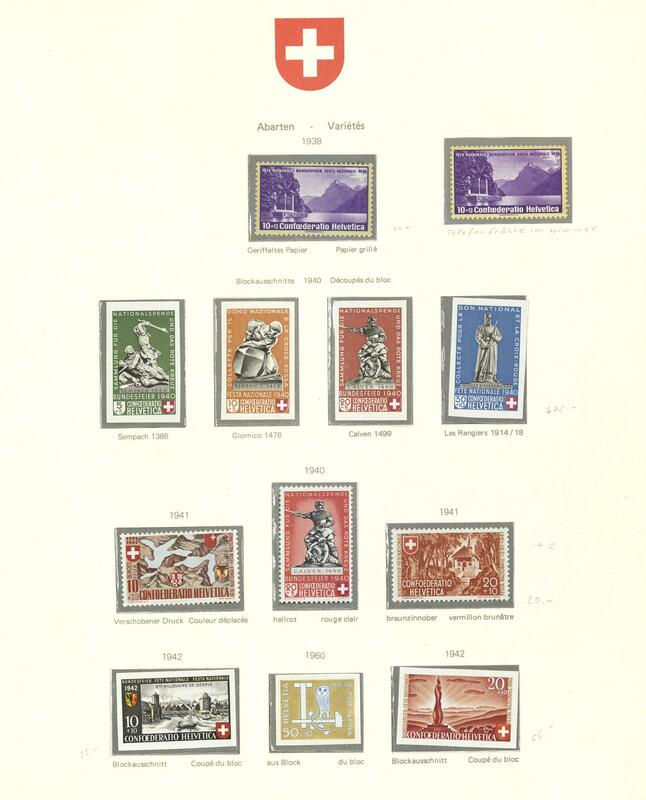 20H x Switzerland - very interesting and extensive inventory in 84 mostly excellent filled approval books from Strubel including many better issues, good sets, souvenir sheets and so on. 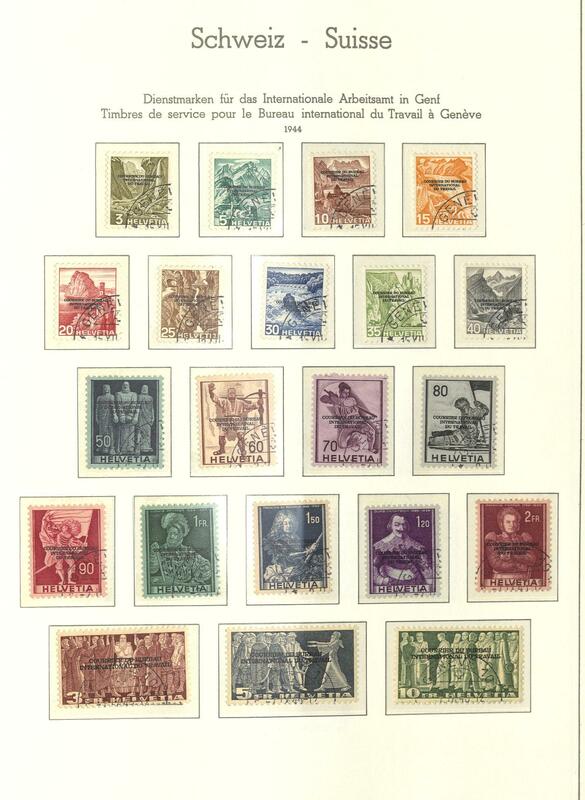 Huge catalogue and trade value. 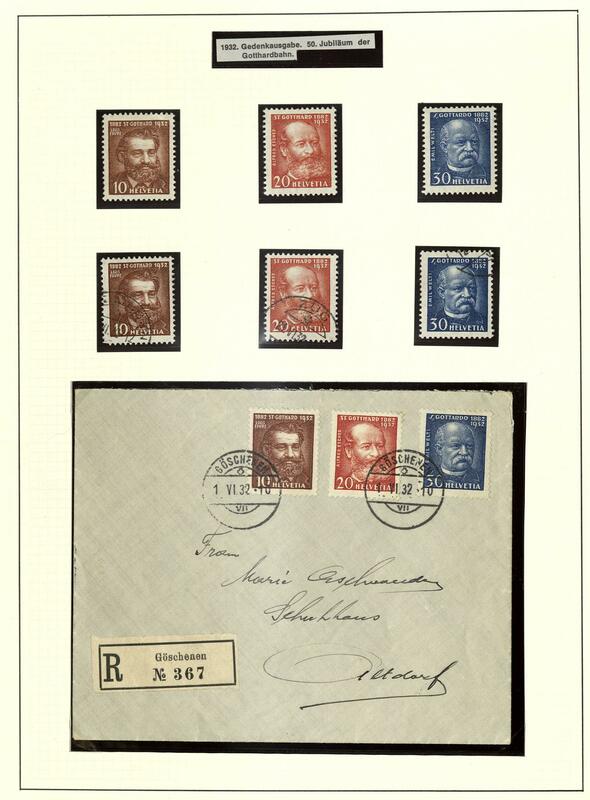 Very favorable! 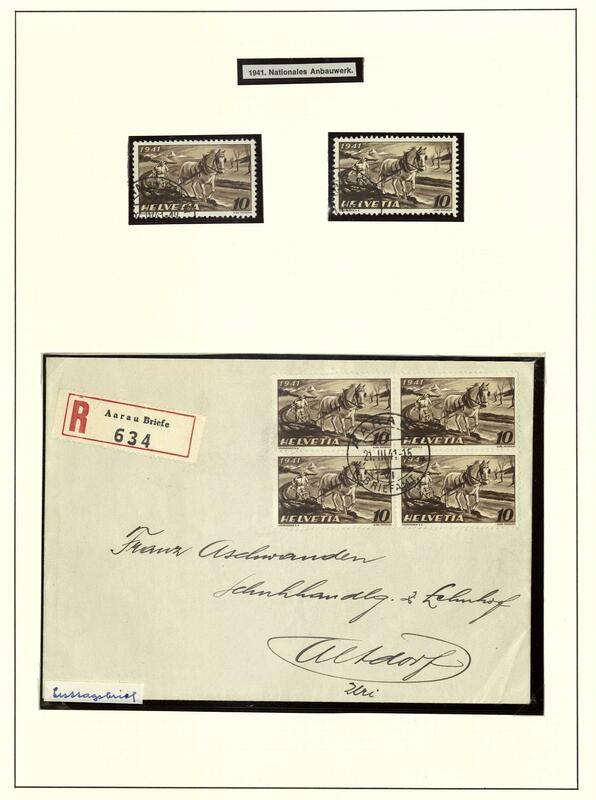 20L ✉ Switzerland - extensive inventory from covers, cards and First Day Cover from the year 1867 packed in a carton. 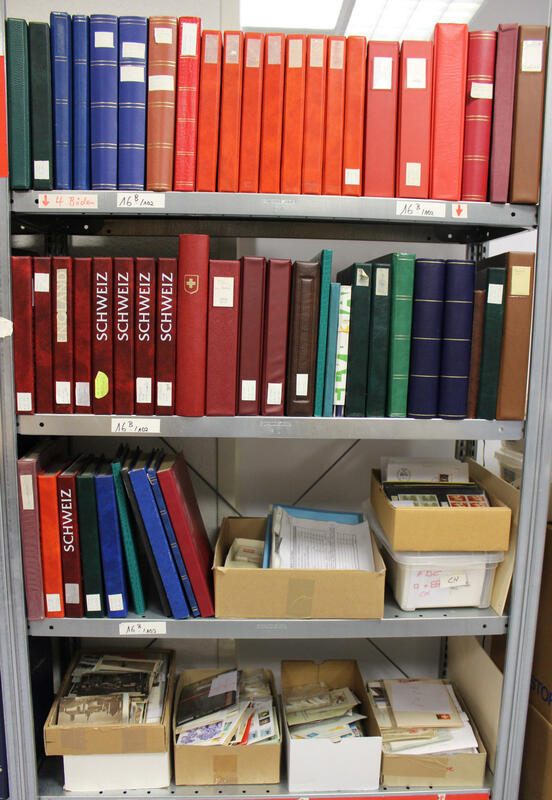 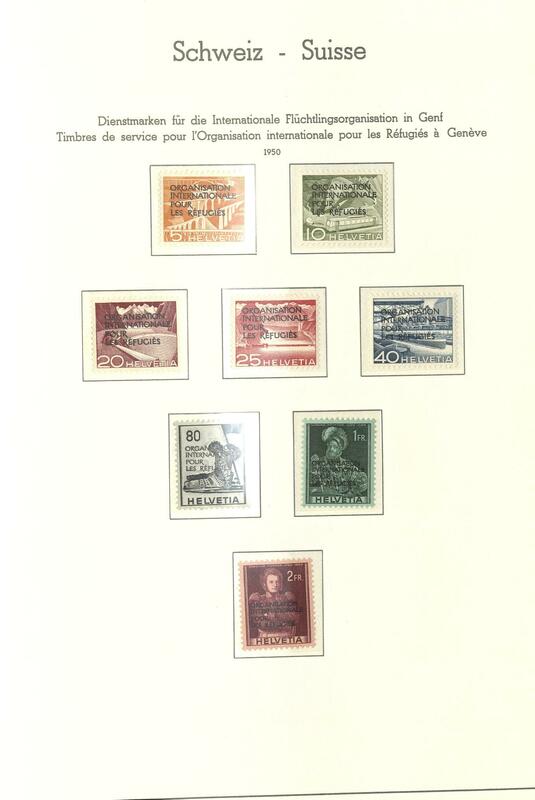 Many nice documents, decorative frankings, complete sets, Pro Juventute and Pro Patria and so on. 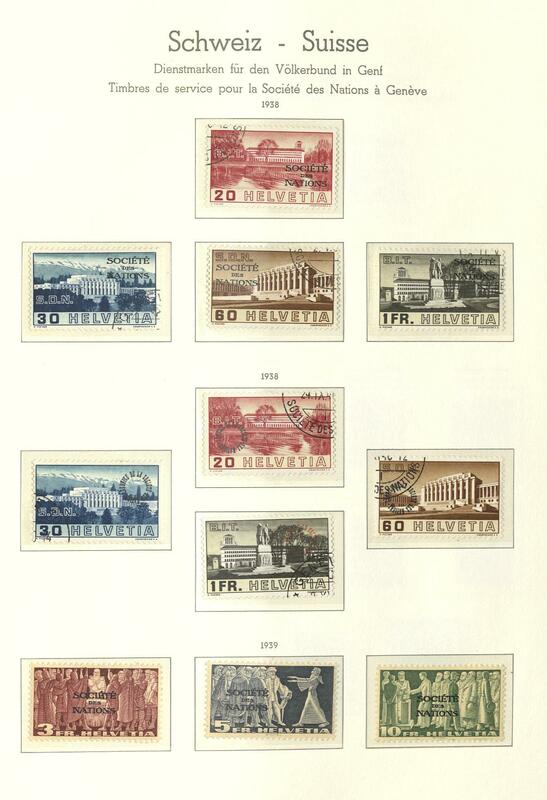 Very favorable! 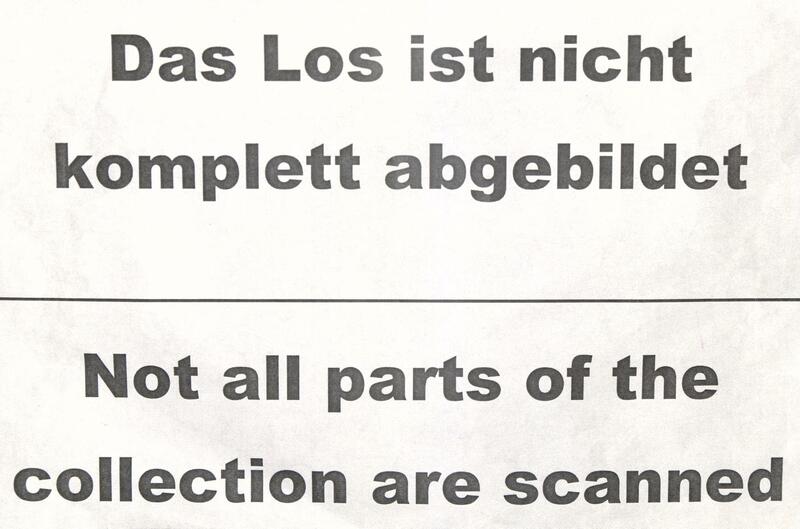 20N /⊙/ 01. 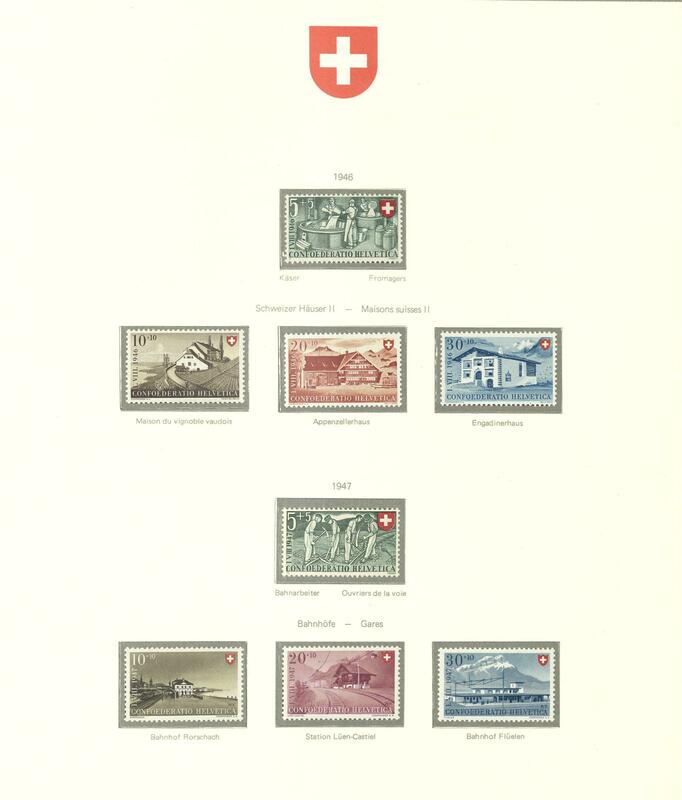 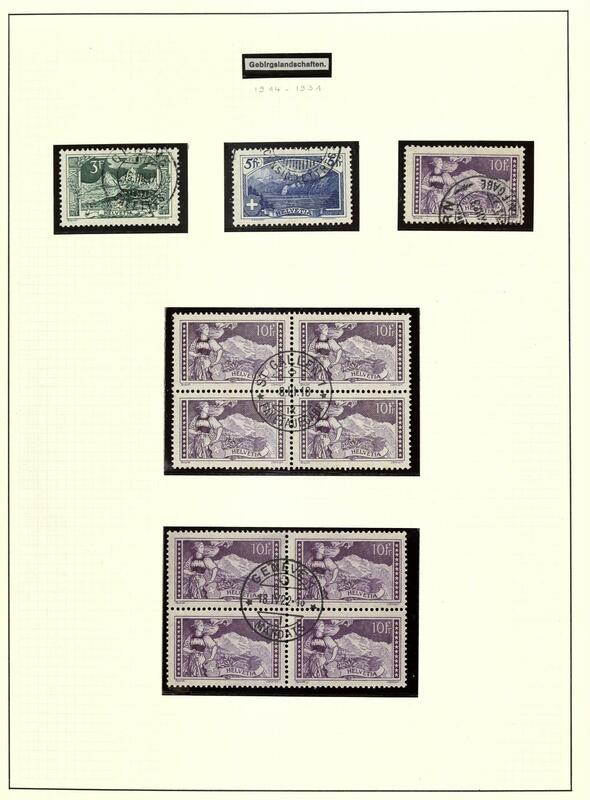 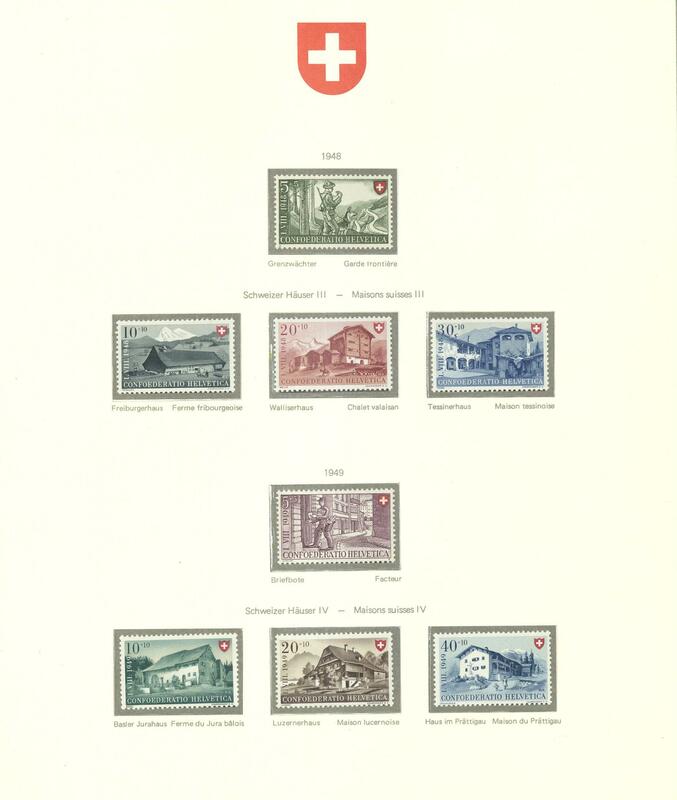 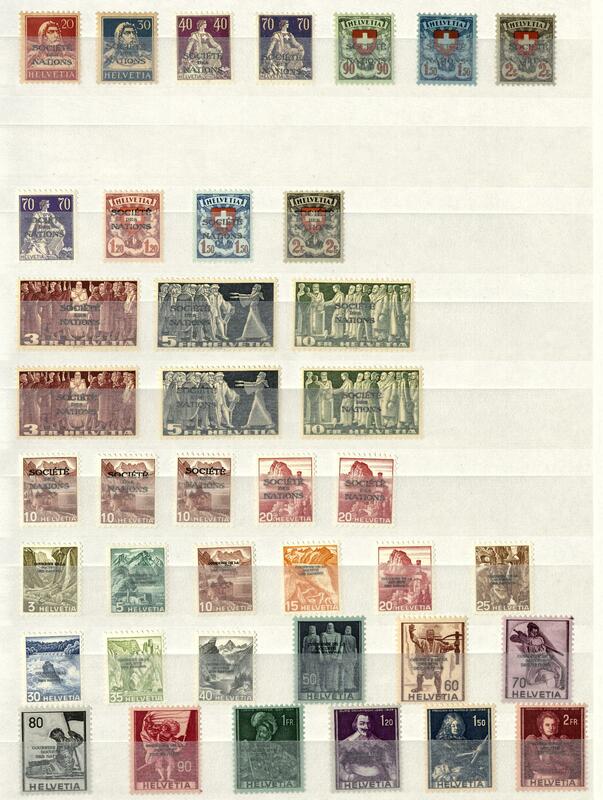 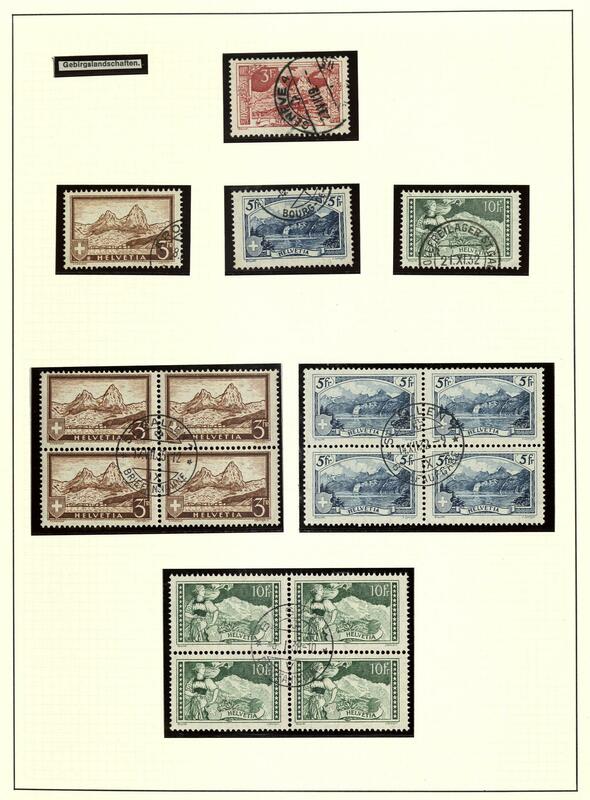 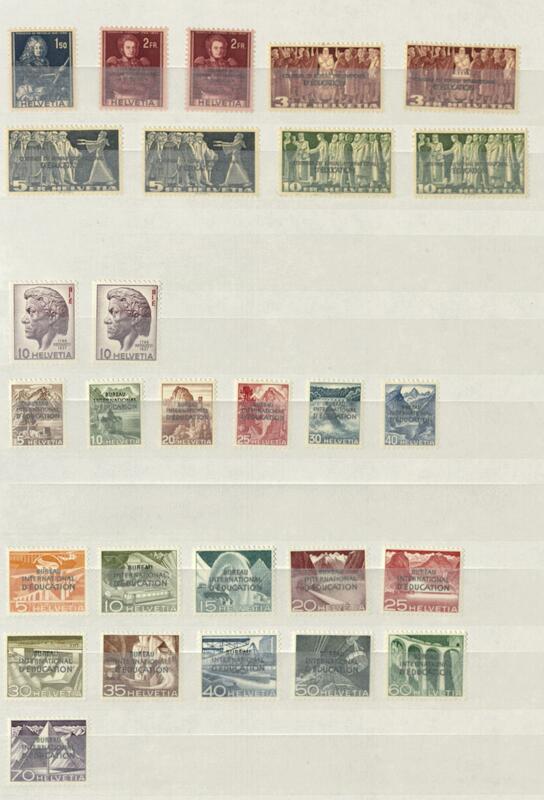 Aug Switzerland - 1850 / 1996, extensive inventory in the thick album accommodated with a lot of better issues, with also NABA-block 1934, center piece from Federal celebration souvenir sheet 1940, war victims souvenir sheet 1945 with special cancel, LUNABA-block 1951 with special cancel, further souvenir sheets, offices issues with World Refugee Organization Michel no. 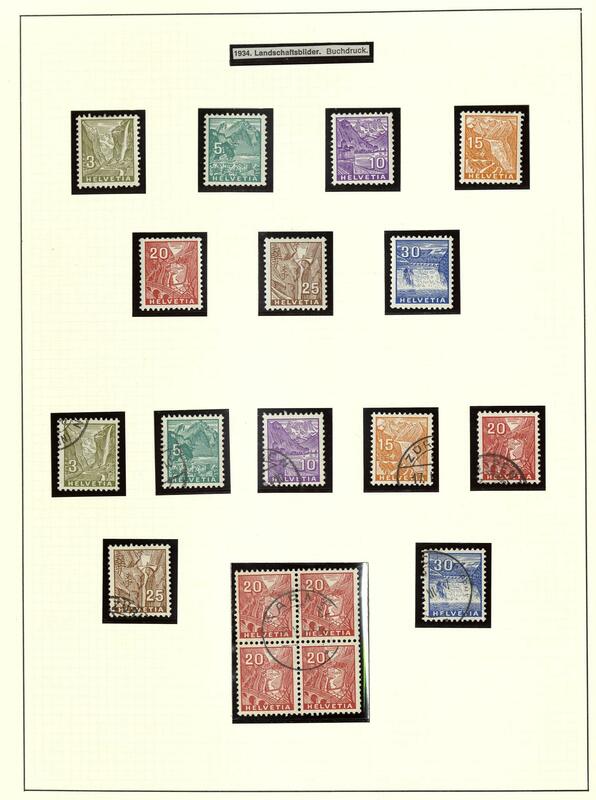 1/8 mint never hinged, Strubel and much further material. 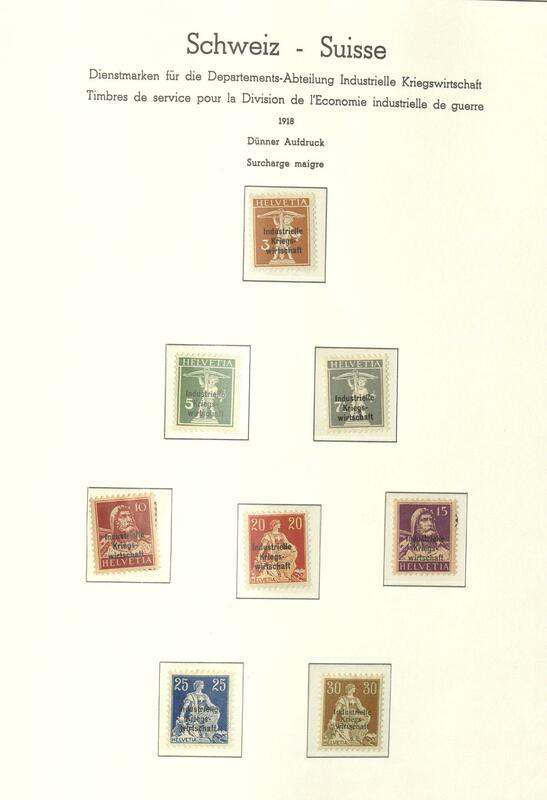 Huge catalogue value! 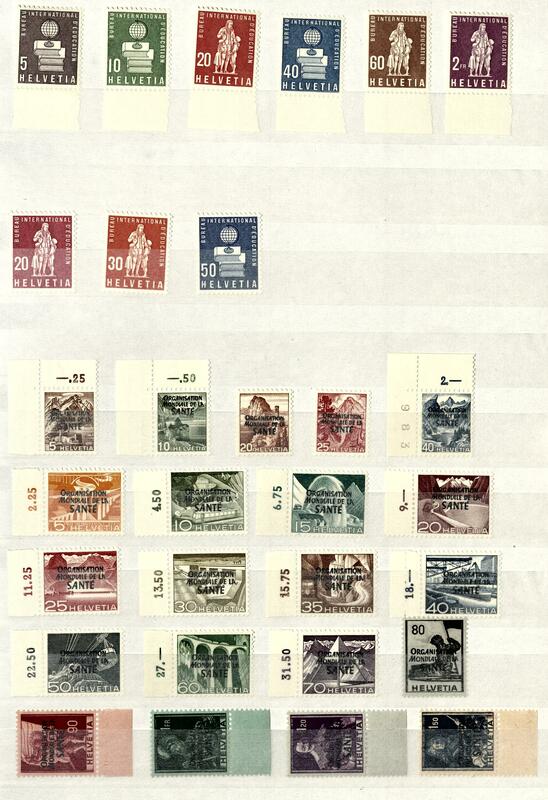 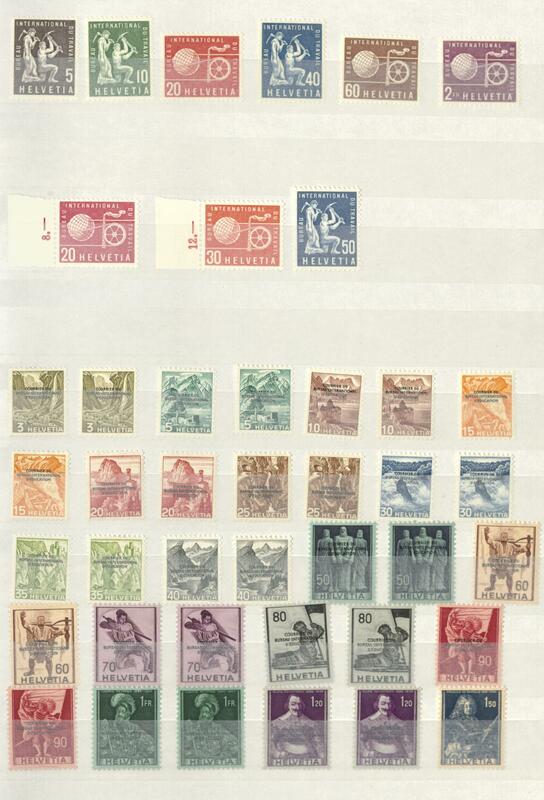 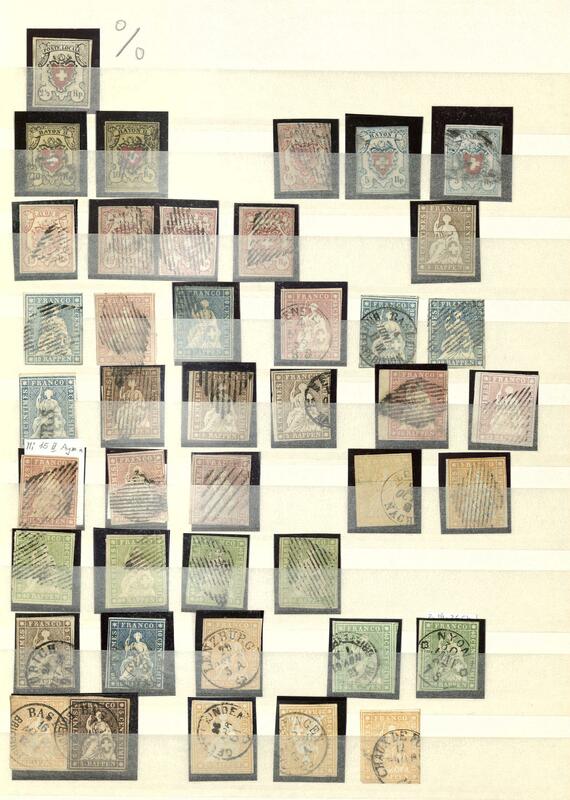 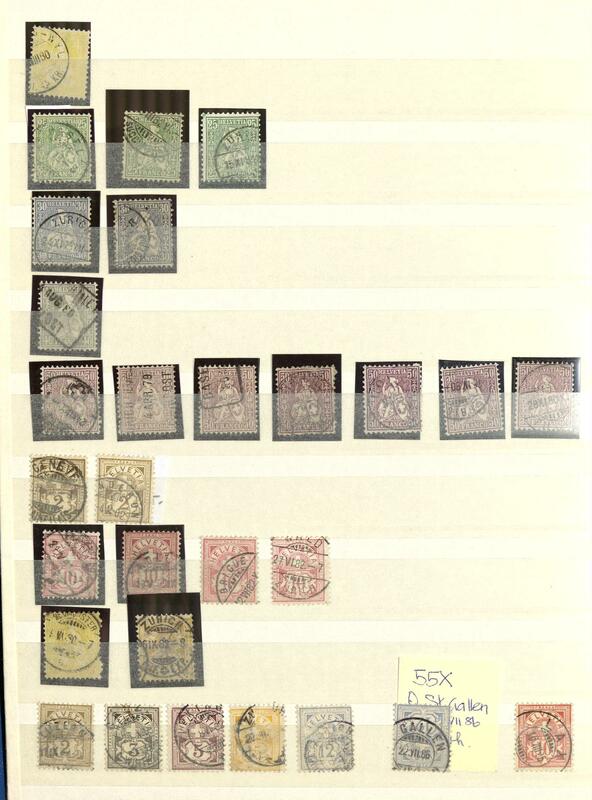 22U / /⊙ Switzerland / soldiers stamps - extensive lot soldiers stamps from the II. 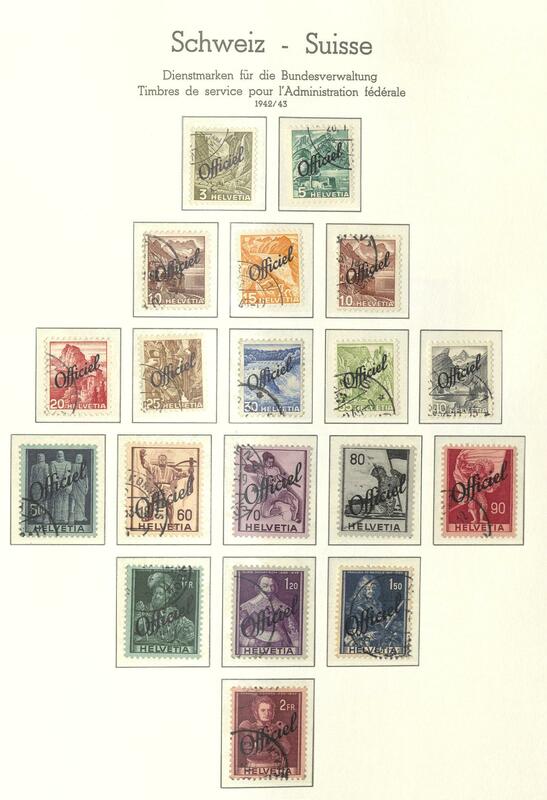 World war in three albums accommodated, as well various military branches, many various motives and issues, as well also blocks of four and so on. 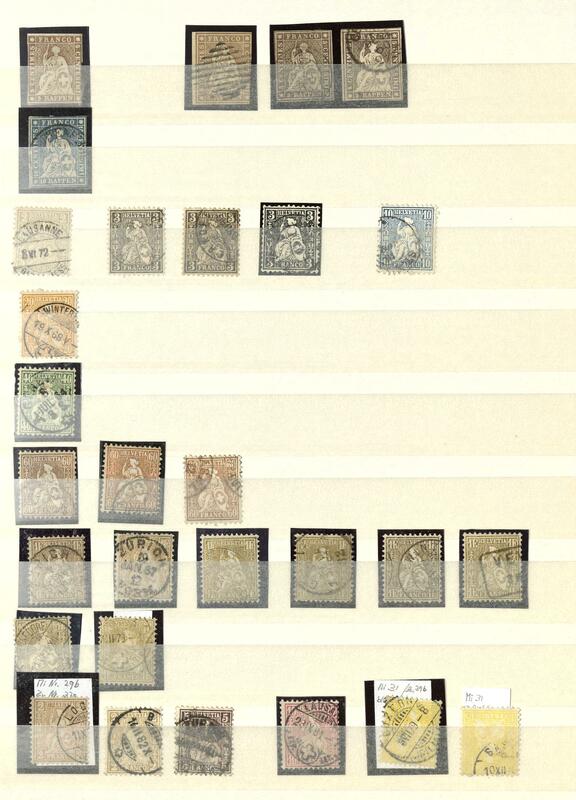 The catalogue value to Wittwer catalogue amounts according to the owner approximate 4150,- Sfr. 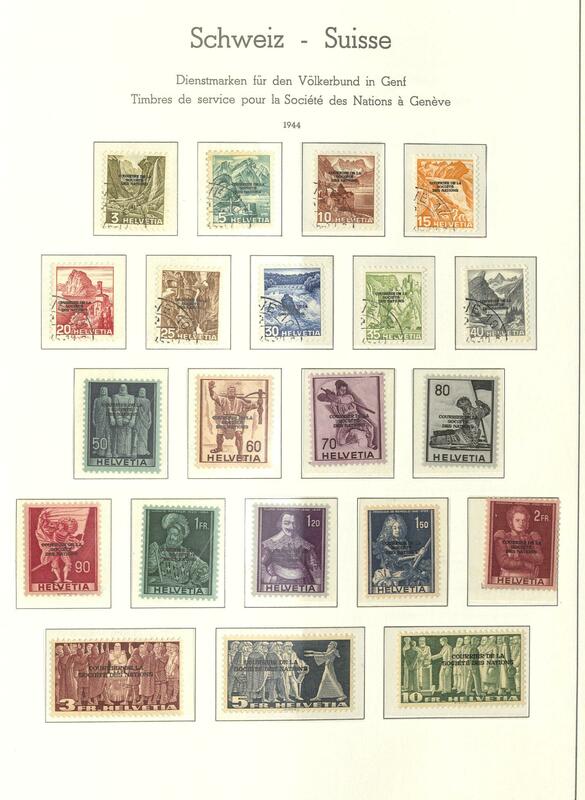 Into the bargain a collection Austria from the years 1860 / 2000 in two albums. 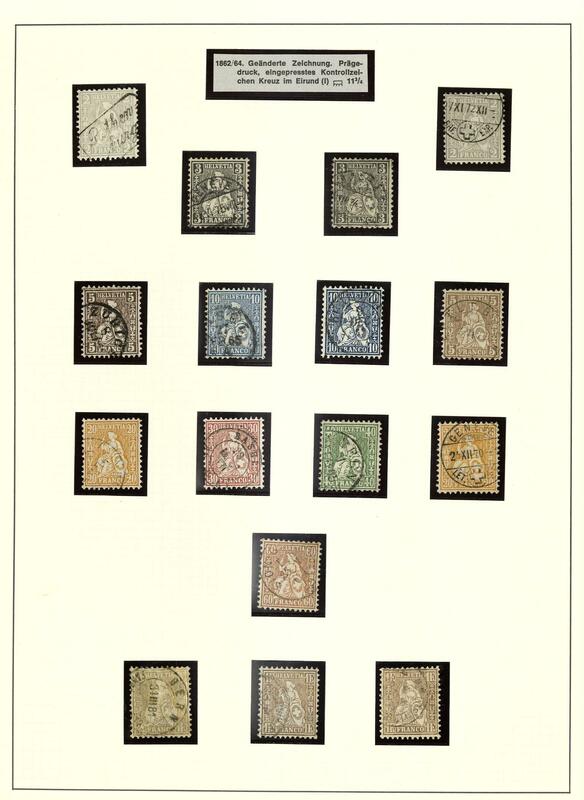 Please have a look! 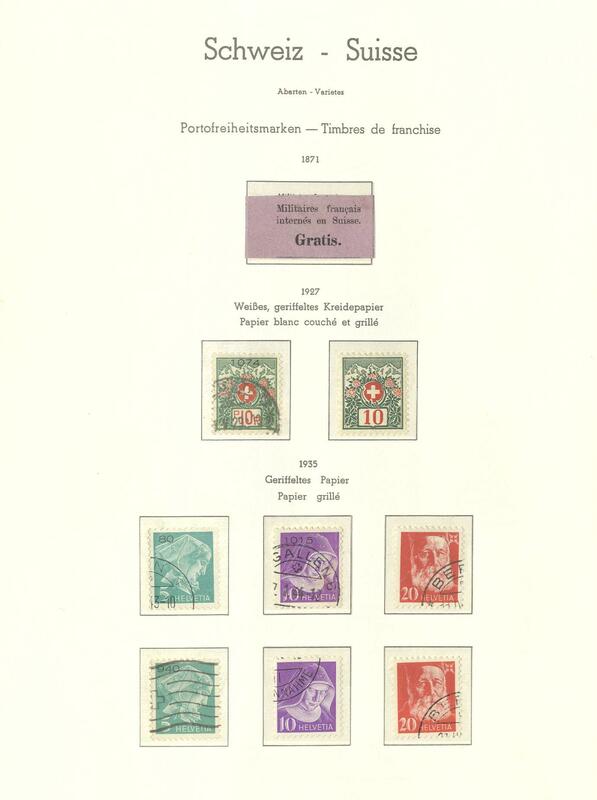 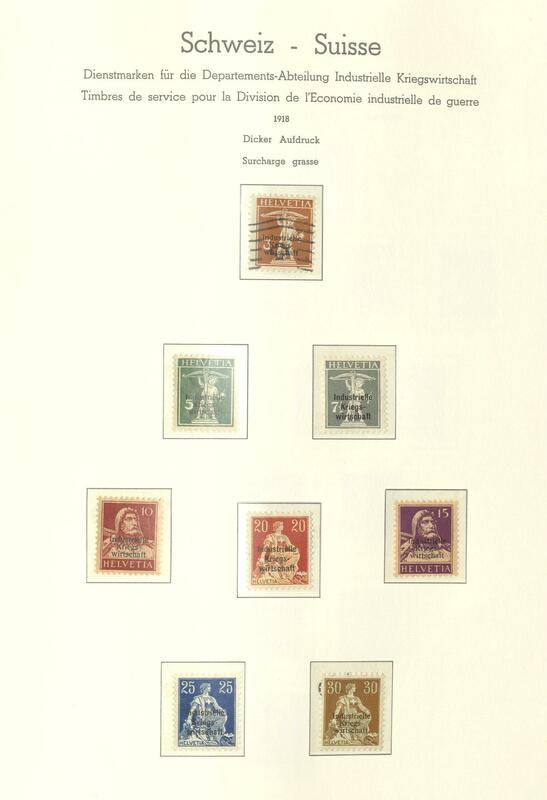 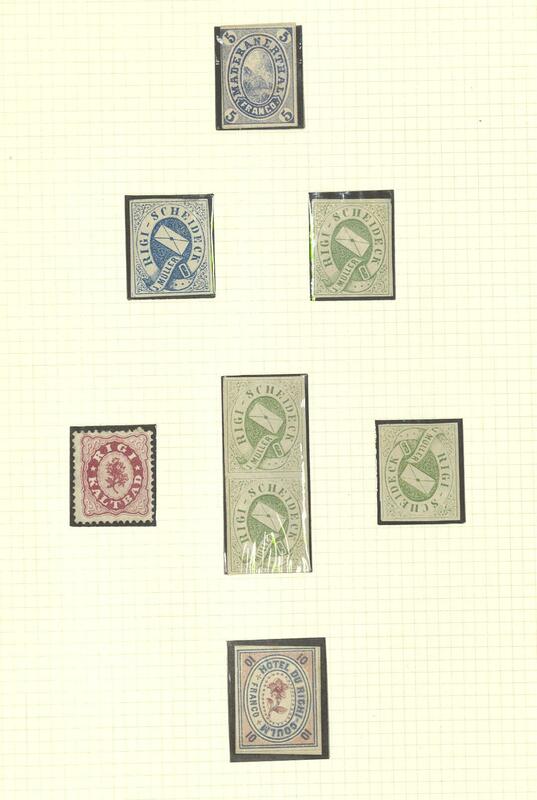 32B /⊙/ 1/20, 1/8 Switzerland / offices - interesting and rich collection the offices issues in the lighthouse hingeless illustrated album with numerous better values and sets. 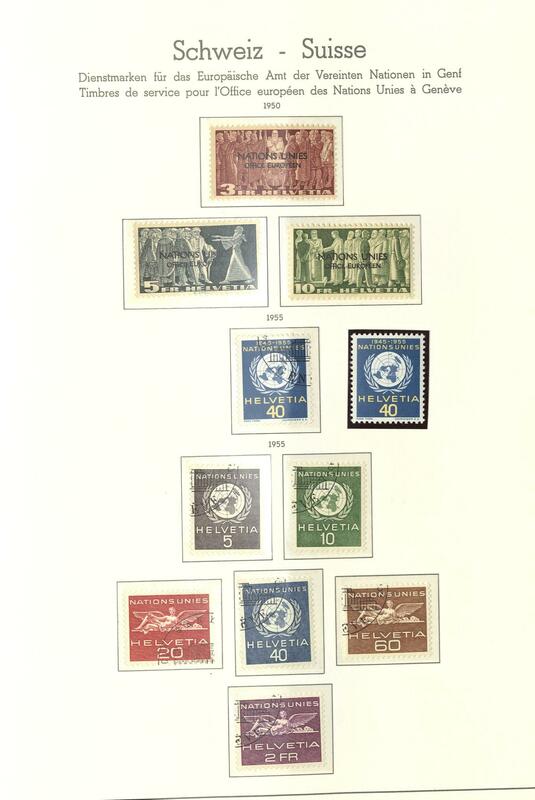 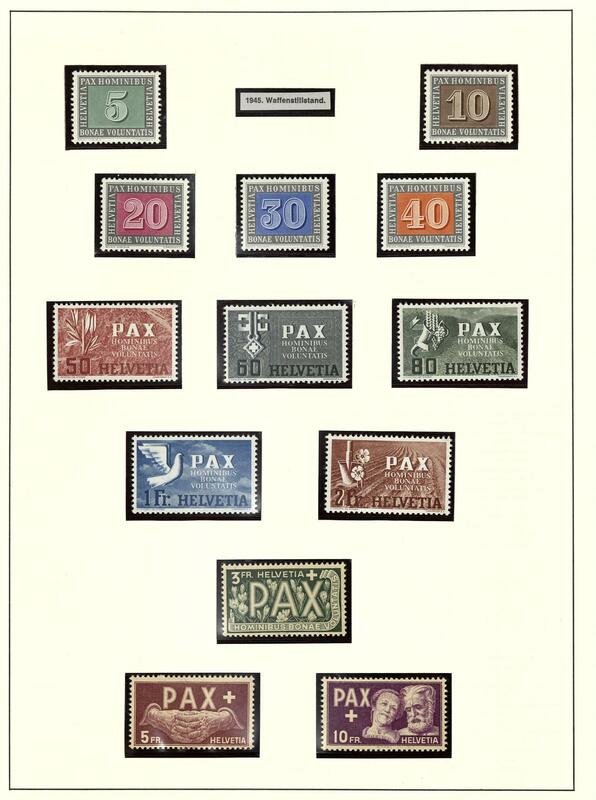 With also industrial war economy both sets with thinly and thick overprint, official stamps very well-staffed, including complete sets, issues for the League of Nations (SDN) with 10 Fr. 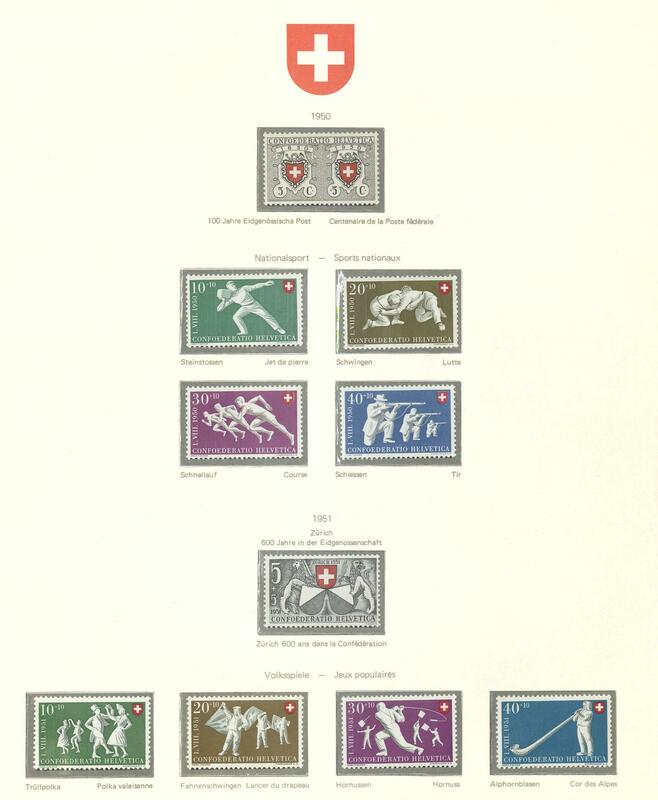 Violet, a nice part issues for the Bureau of Labor, as well better values, International education office, World Health Organization nice be present, European office the United nations in Geneva with Michel no. 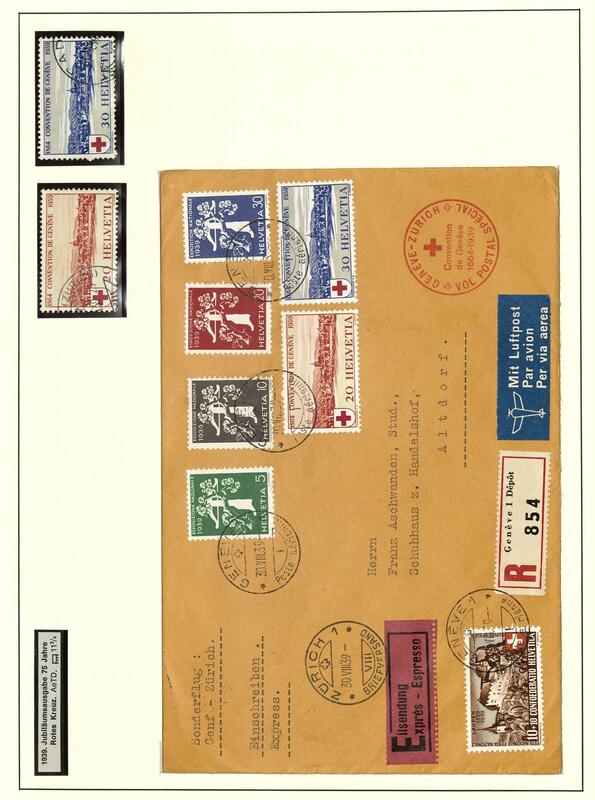 1 / 20, World Refugee Organization Michel no. 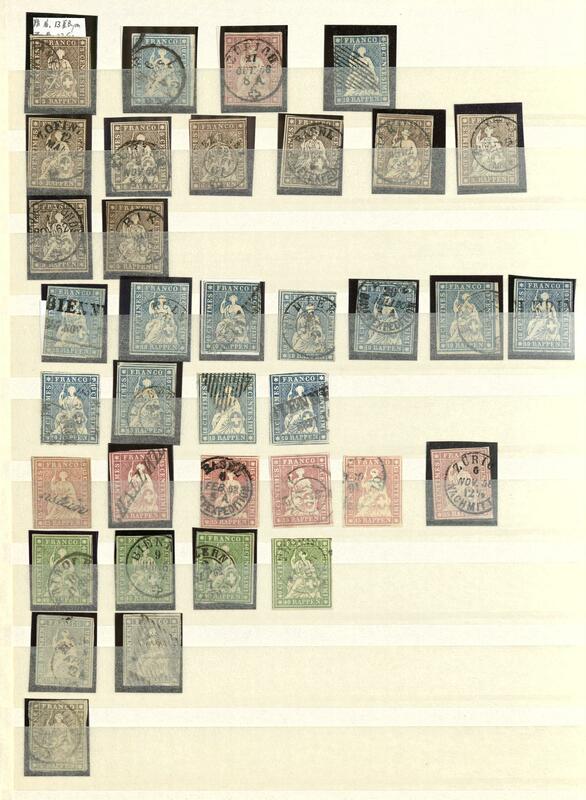 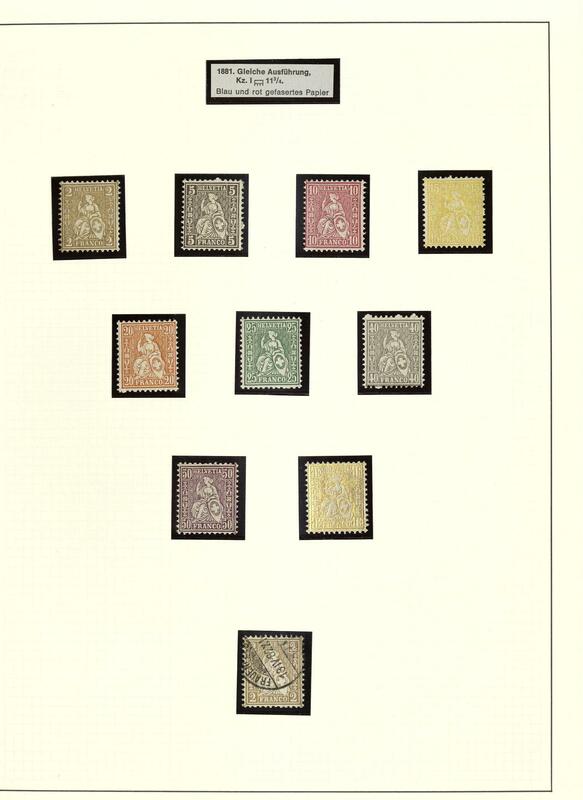 1 / 8, as well subsequent also an interesting part postage due stamps, franchise stamps with two copies the issue of 1871, as well telegraphs stamps. 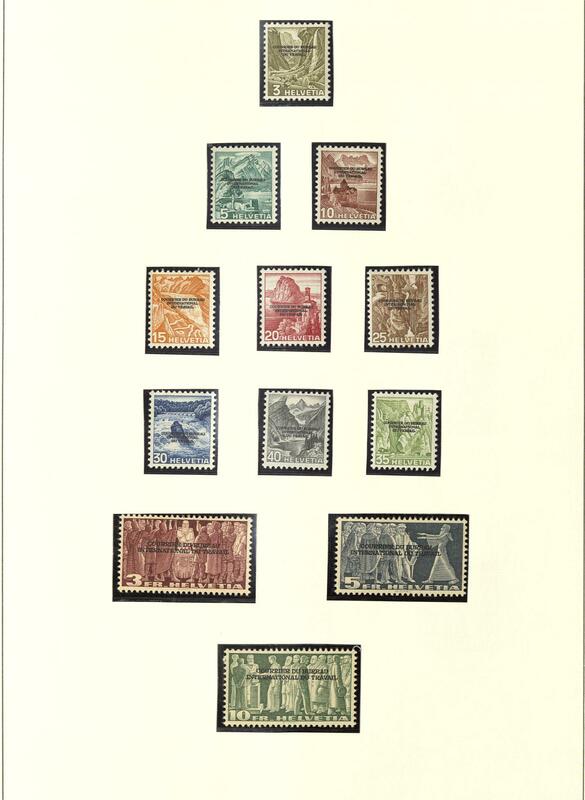 A superb collection! 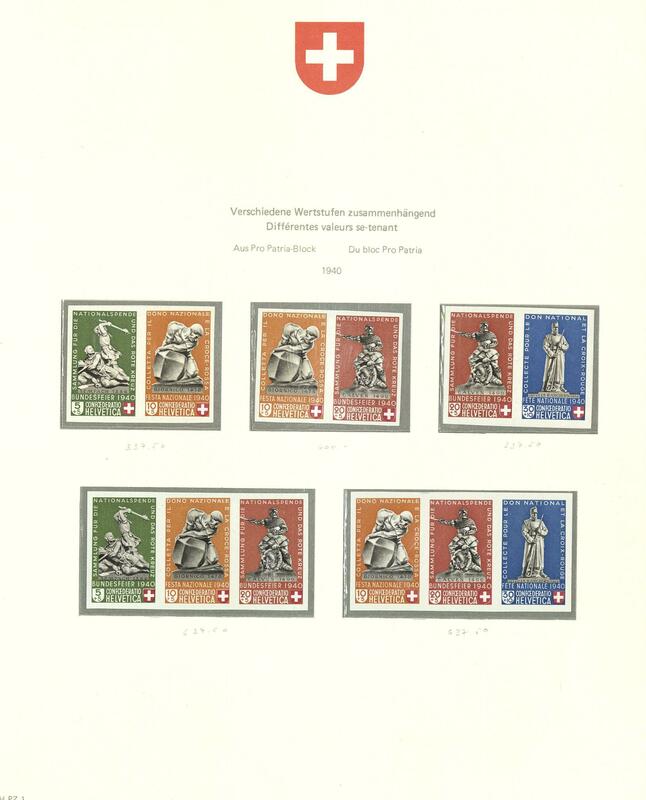 58 ⊙ Switzerland - 1854 / 2013, extensive used collection with plenty of better issues, as well seated and standing Helvetia, 30 Rp. 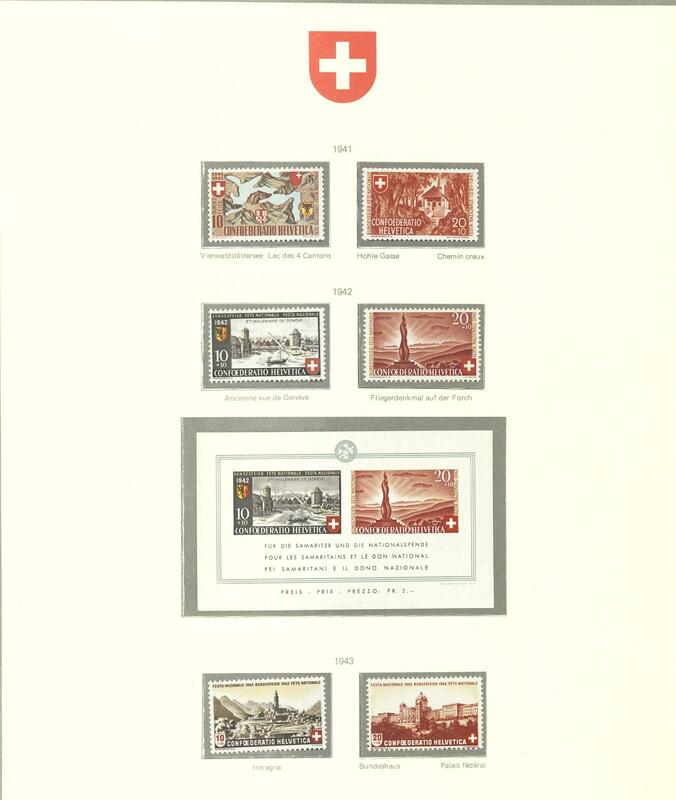 Airmail with airscrew overprint used with photo attests Nussbaum-Bisser, NABA-block 1934, Pro Patria-block 1936, Federal celebration souvenir sheet 1940, Pro Juventute souvenir sheet 1941, Federal celebration souvenir sheet 1942, Double Geneva souvenir sheet, both Zurich souvenir sheets, war victims souvenir sheet 1945, Bale dove souvenir sheet 1945, Imaba souvenir sheet 1948, LUNABA-block 1951, Lausanne souvenir sheet 1955 and numerous further issues, special- and commemorative sets, Pro Juventute and Pro Patria-editions and so on. 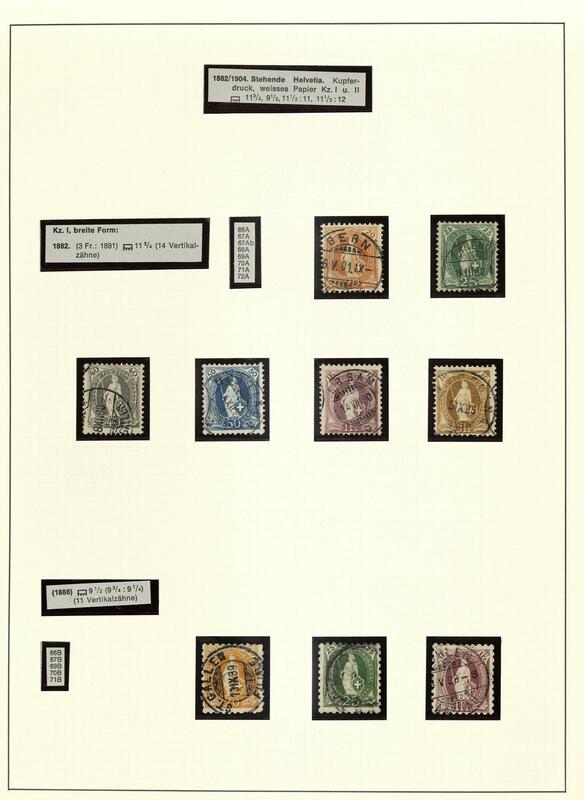 Favorable valued collection with enormous catalogue value! 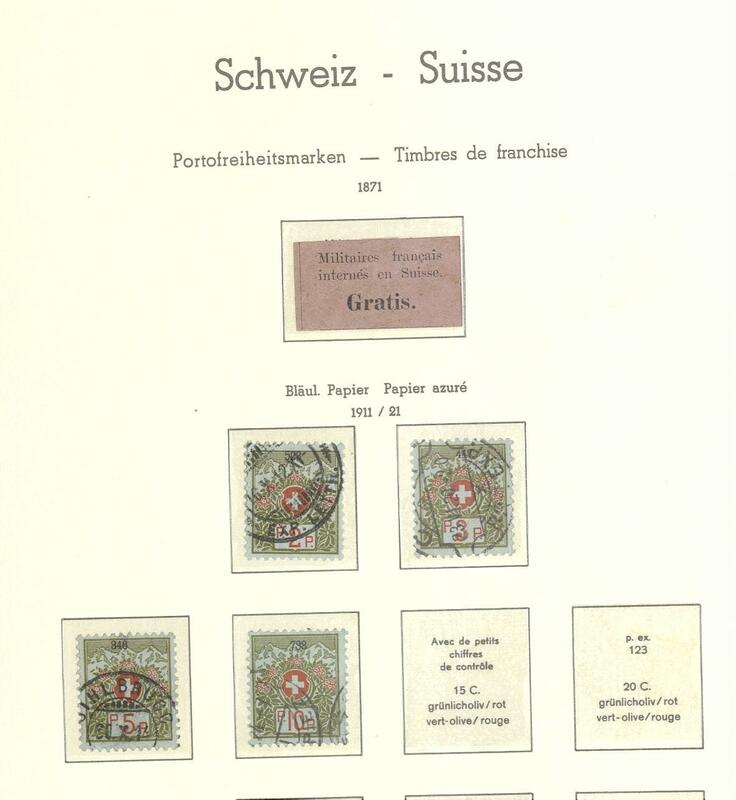 63 /⊙/ Switzerland - very interesting and extensive inventory in 13 approval books and a stockbook accommodated. 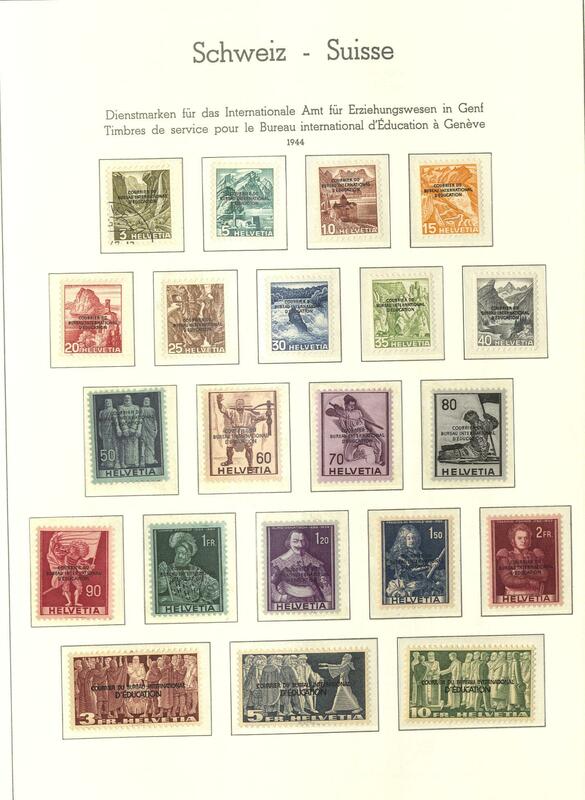 As well numerous better issues as for instance Federal celebration souvenir sheet 1940 mint never hinged, Bale dove souvenir sheet 1945 mint never hinged, a good part official stamps, blocks of four, as well numerous further better issues, complete sets and so on. 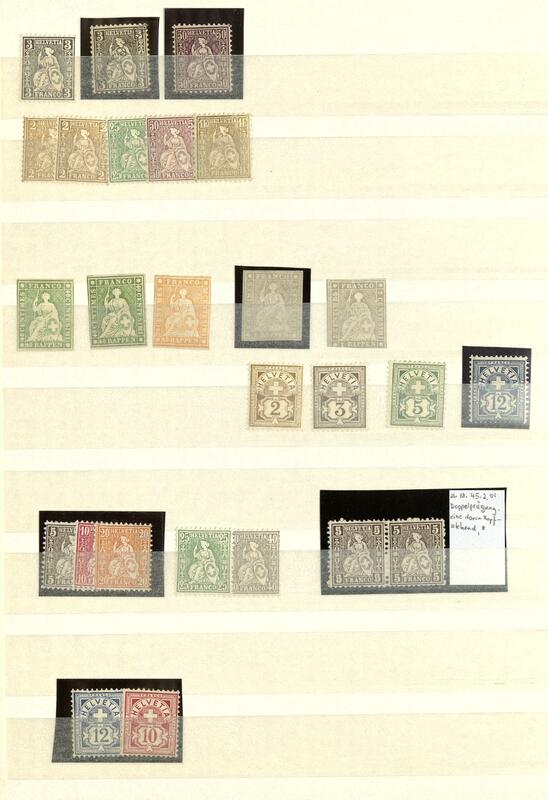 Enormous catalog value, very favorable! 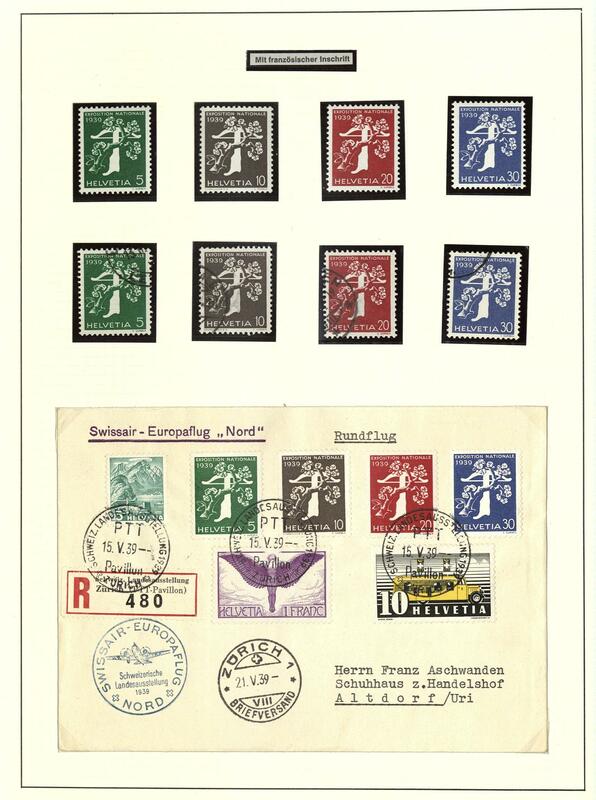 99G /⊙ Switzerland - extensive mint never hinged collection in two Lindner ring binder. 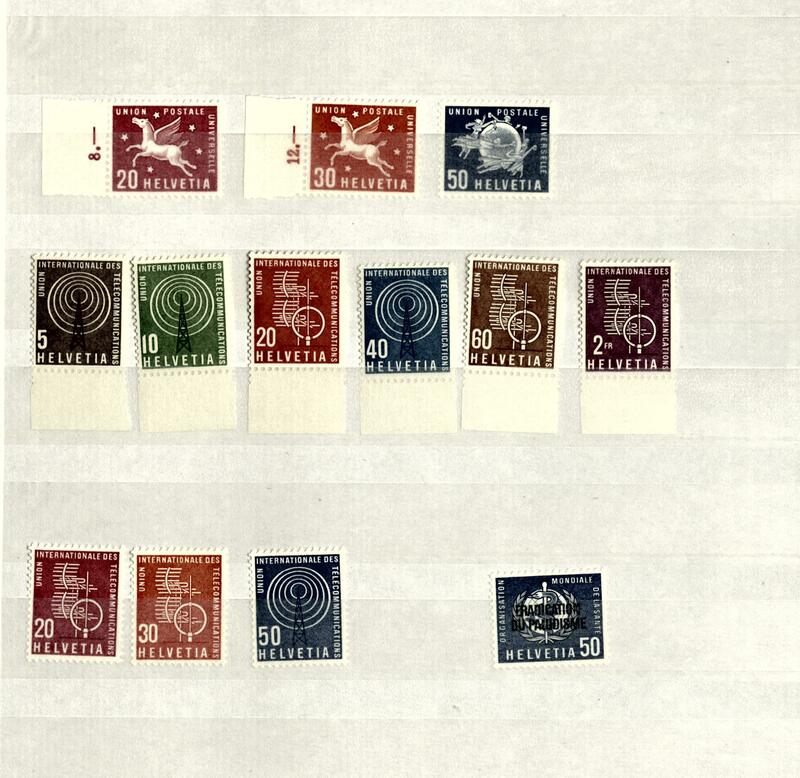 With also numerous blocks of four, complete years, se-tenants and so on. 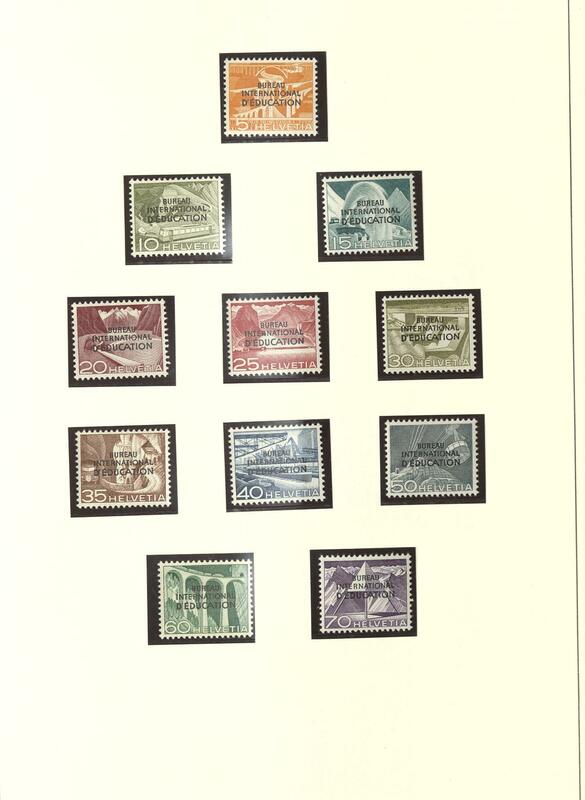 Very favorable! 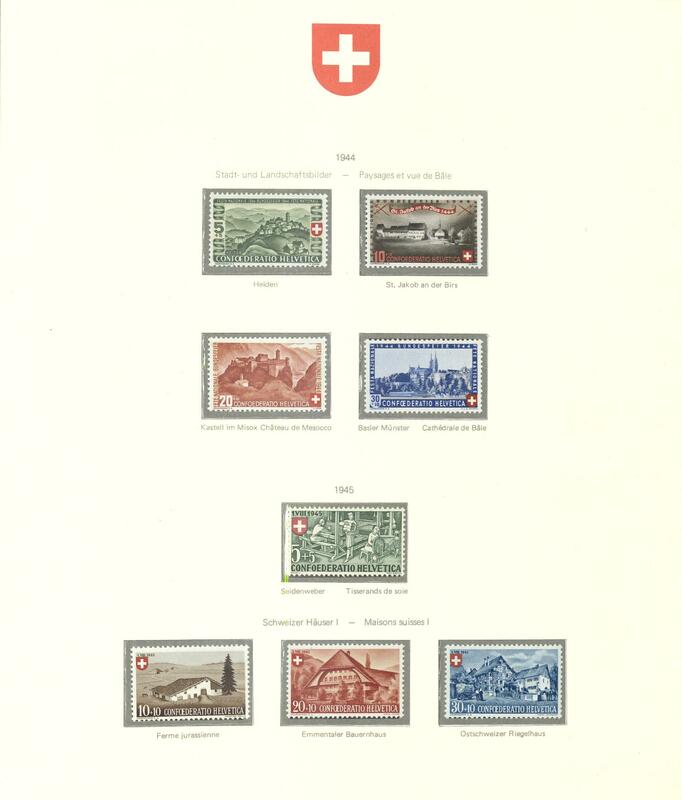 116 Switzerland - 1912 / 62, complete mint never hinged collection of the Pro Juventute issues in the ring binder formed including the not issued set from 1912, all sets from 1915, souvenir sheets including of the issue from 1941, as well also the butterfly tête-bêche sheet 1953. 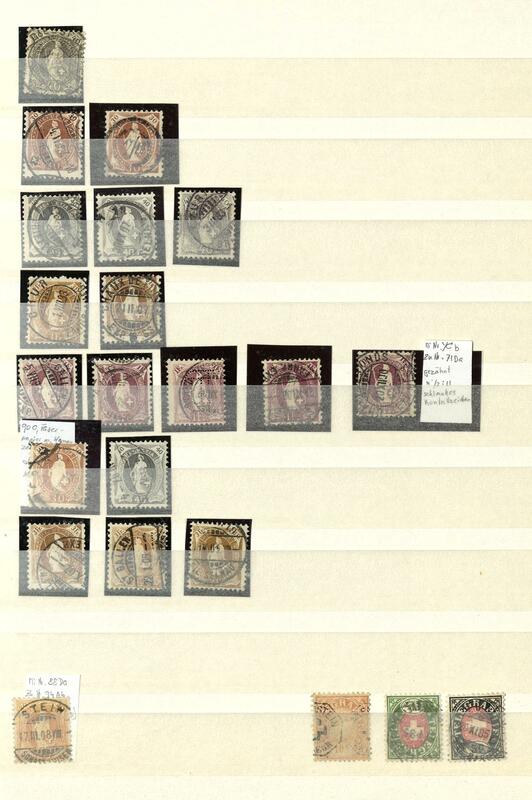 Besides are also the se-tenants complete available, with also the tête-bêche pair and the gutter from 1915. 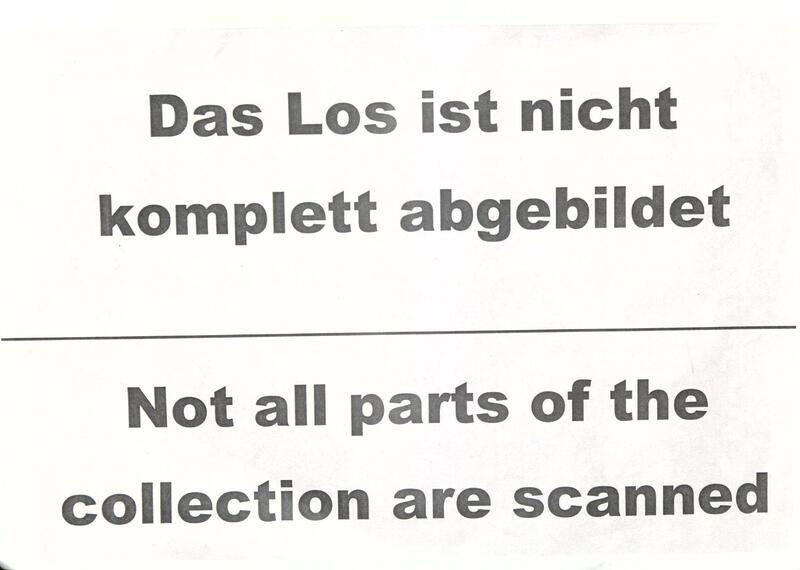 A very nice object! 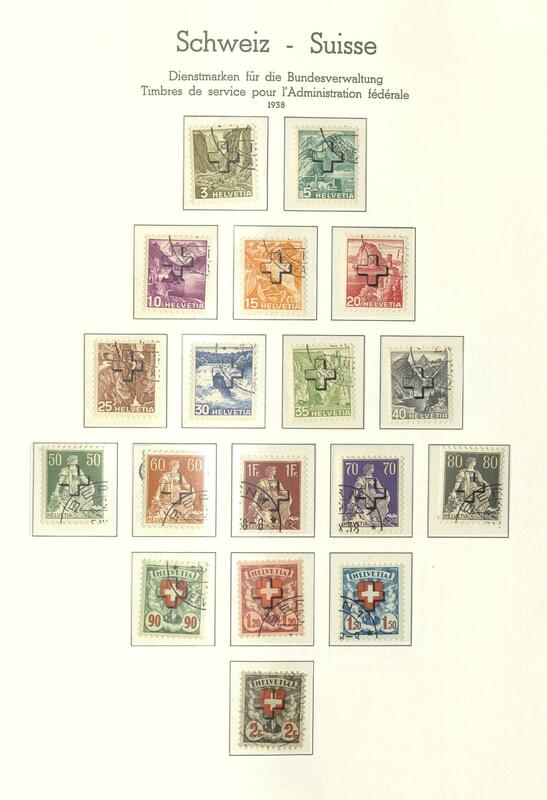 117 ⊙ I/III Switzerland - 1912 / 63, extensive used collection of the Pro Juventute issues, nearly complete with many rarely issues, stamp without guarantee, in the hingeless printed form ring binder. 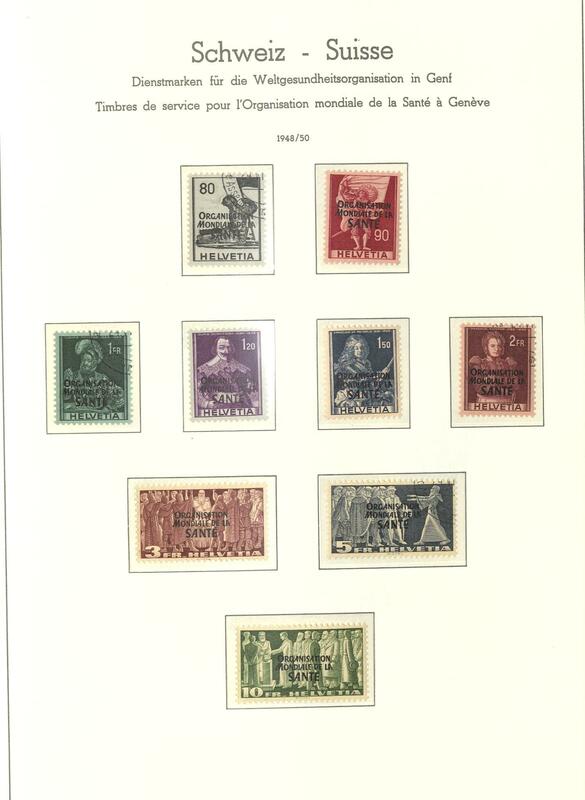 Also the scarce Pro Juventute precursor series 1912 (Michel no. 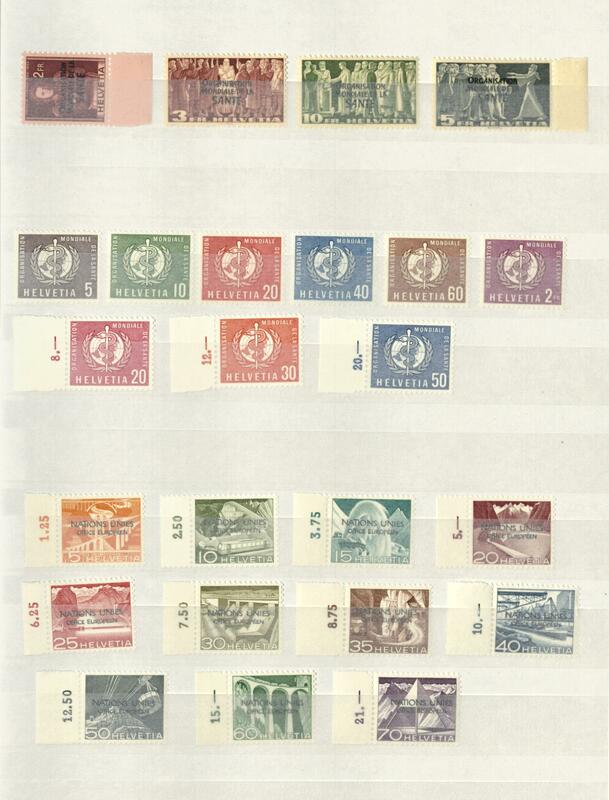 I / III), numerous Pro Juventute sets from 1915, Pro Juventute souvenir sheet 1941 with appropriate special cancel, the scarce gutter se-tenant Pro Juventute 1915 and so on. 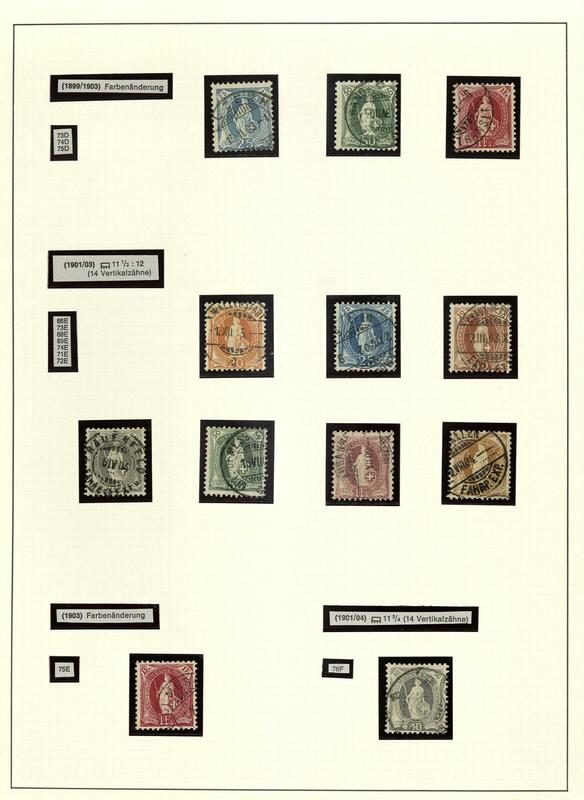 Michel approximate 11500,- €. 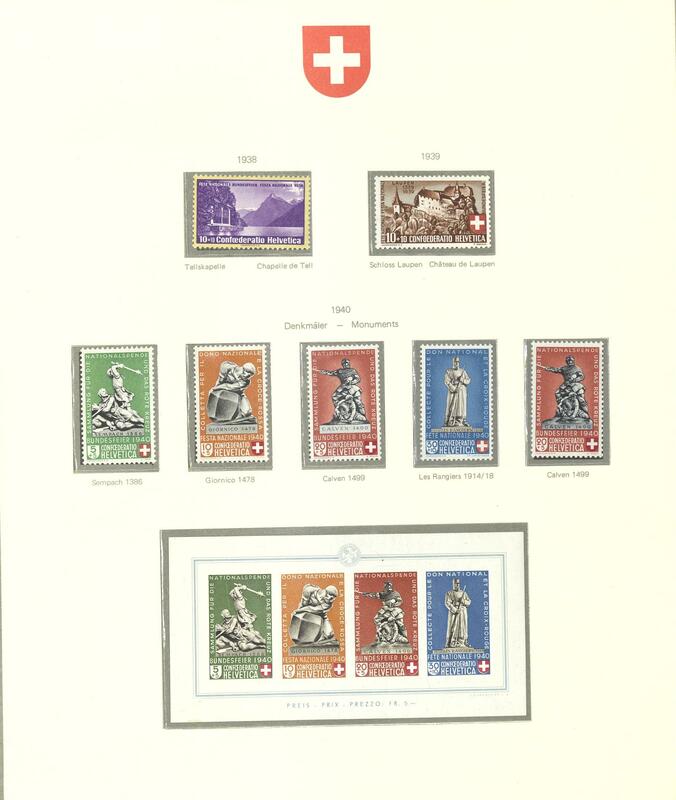 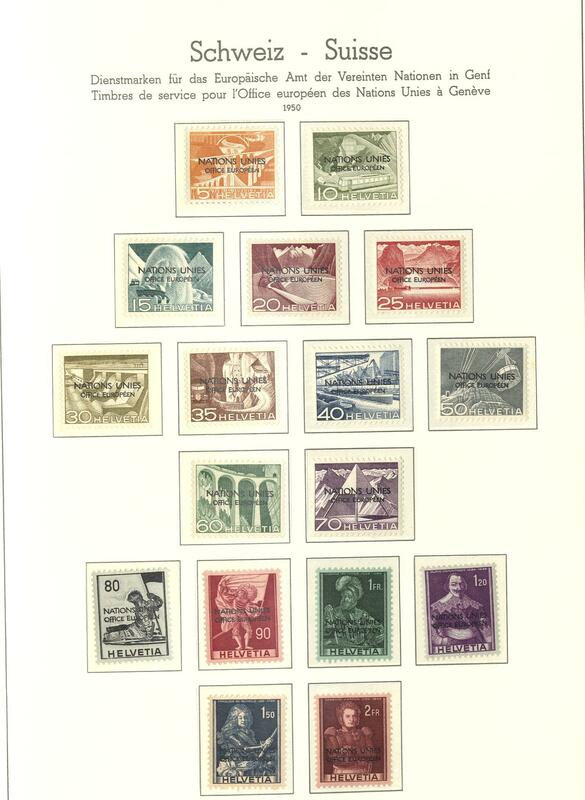 118 Switzerland 1938 / 75, very nice mint never hinged collection the Pro Patria-editions, complete with all issued sets and souvenir sheets in the hingeless printed form ring binder. 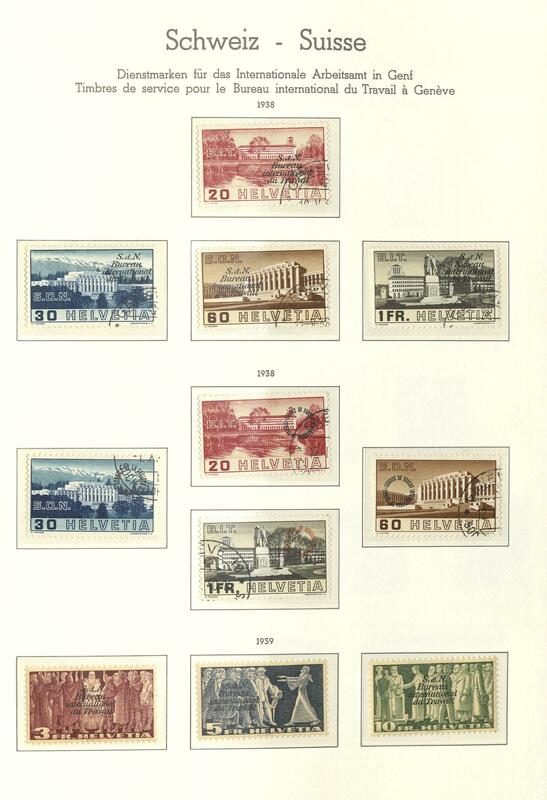 With also the good Federal celebration souvenir sheet 1940, the souvenir sheet from 1942, the souvenir sheet stamps from 1940 and 1942, as well also all five possible se-tenants of the souvenir sheets from 1940 and so on. 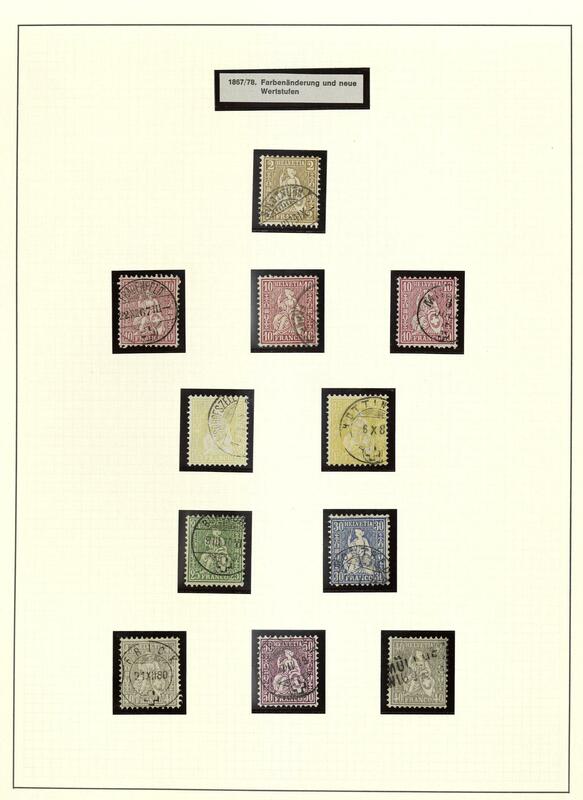 A very nice object!